Editor’s note: please enjoy this guest post by Alex Fogleman, one of the Brazos Fellows tutors and director of the Institute for the Renewal of Christian Catechesis. If you’re unfamiliar with the crucial work of IRCC, be sure to peruse its website and blog. It’s been a delight for me to join the Brazos Fellows on a number of occasions in the Course of Study as an instructor, as well as to get to know the fellows and pray with them on a regular basis. This is an extraordinary group of people.  I have often had the experience, however, of not knowing quite how to describe what makes the Brazos Fellows so special. Yes, the directors, Paul and Paige Gutacker, are exceptional people, wise beyond their years. Yes, the integrated approach to learning is truly inspiring—a rigorous course of study, life together in community and common worship, a rule of life and spiritual disciplines, and spiritual direction and vocational coaching. These are all amazing facets of the program. But even still, when trying to put words to the unique practice of education that is Brazos Fellows, I’m often left with few examples to compare it to. At least not in this century. However, as a student of early Christianity, and particularly the history of catechesis, I am struck by the parallels of the Brazos Fellows with the early Christian “catechetical schools”—particularly those associated with one of the greatest theologians and biblical scholars of the early church, Origen of Alexandria (ca. 185–251). Despite having only tentative accounts of the origins of these catechetical schools, we have an unusually instructive account of Origen’s teaching in Caesarea in Palestine, where the great Alexandrian theologian taught after moving from his home town around 230. In a remarkable text called the “Thanksgiving Address” (an older translation of which can be found here), an aspiring public official named Gregory—usually identified as Gregory Thaumaturgus (or “Wonder worker”), who would later become a bishop and major influence on the Cappadocian church—offered his affectionate reflections on his time in Origen’s “school.” Though filled with all the hyperbolic prose characteristic of this style of ancient rhetoric, the Address provides a striking glimpse of the early Christian ideal of learning and its place within the economy of salvation. Origen, the “friend and advocate of the Word,” mediated divine wisdom to Gregory. He challenged his students through Socratic questioning and argumentation to explore the deeper realities of life. Not pleased merely with superficial answers, he was not afraid to probe and test their innermost thoughts (7.95–105). After this training in argumentation and rational thinking, Origen went on to teach many other subjects, including physics, geometry, and astronomy—and he taught these in such a way that “he filled our minds with a rational instead of an irrational wonder at the sacred economy of the universe” (8.111). Gregory replaced their irrational wonder with a “rational wonder”—an aesthetic vision of creation that was at once reasonable yet infused with mystery, an awe before the creator and ruler of all things. No aspect of human life and thought was outside the scope of the divine economy. No facet of creation could fail to become a means of contemplation. But it was not only that all these subjects were taught. It was the way Origen taught them. And it was especially concerning what Gregory designated as the chief object of study—“the divine virtues that concern the moral nature” (ethos)—where Origen’s method of teaching shines. For as Gregory explains, Origen taught not only in words but in deeds. In spending time with the Brazos Fellows, I sometimes feel like I’ve been transported to the third-century catechetical schools. The deeply intuitive sense that learning is for this purpose—for becoming the kinds of people who strive to live virtuously, to live in tune with the Word—is resonant throughout every facet of this Fellows program. For those who haven’t hung around this group—it’s time that you do!